India is a country which consists of 1/6th of the population of the world suffers a lot due to lack of healthcare and wrong treatment. So, MyIceTag presents first ever Medical Alert Wristbands in India which acts as your Fitness Diary. For those who like to live their life on the edge needs to have these bracelets. For people with a serious medical condition like diabetes or epilepsy, these medical Bracelets are a must. These bracelets are for everyone be it Kids, Pets, or Elders, coming in Bracelets, Keychains and ID tags which also come in variant colors. These Medical alert Wristbands work simply by sending the details of the patient to the Doctor by giving away your information – Like your Medical History, your Allergies, your surgeries, and the medication you’re on. All they need to do is scan the QR Code on your Medical Wristband on their MyIceTag App which they can install from Google App Store available for both iOS and Android. If you are traveling one day alone and you start having a seizure or you met with an accident, you'll be rushed to the nearest hospital. In a hurry, you have been given the wrong medication. What will you do? file a case against the doctor and Hospital? Yeah, but it’s better to be safe than sorry. You need to take precaution like having a MyIceTag Bracelet which will tell all your details to the doctor who is operating you. It is easier for the doctor as well to operate on you as he will know what he should and shouldn’t be doing. 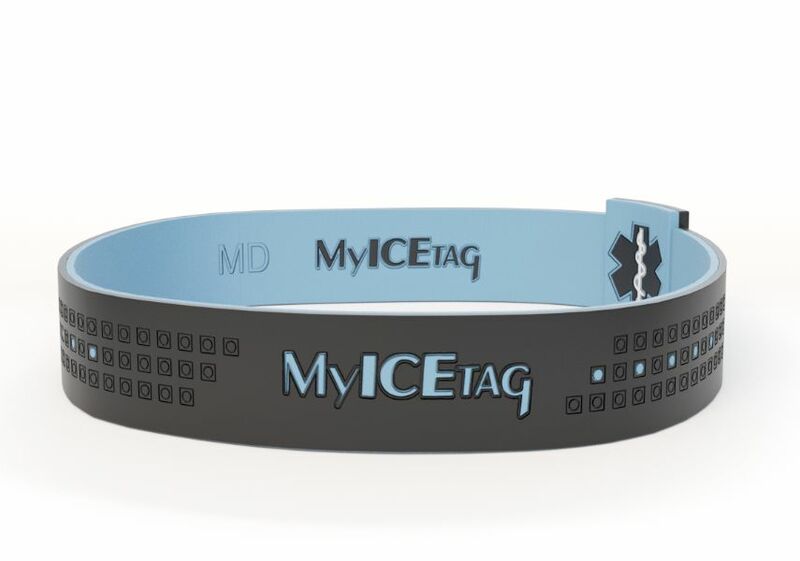 You just need to go to www.MyIceTag.com/product and buy it for yourself and your whole family available at a very affordable price starting from ₹350. Medical alert id, pet tags, pendants and bracelets- What is it?